Add a touch of brilliance to any look in the Miseno™ Sea Leaf Yellow Gold Cushion Cut Earrings. 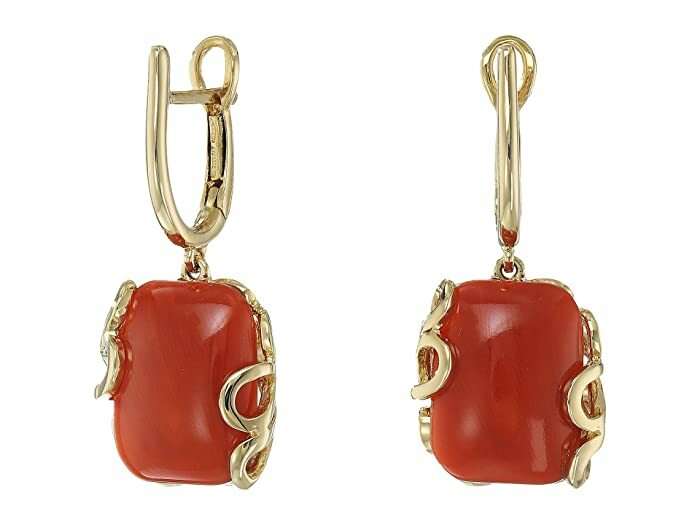 Mediterranean coral stone cradled in sea leaf design. Lever back closure in gold accent.